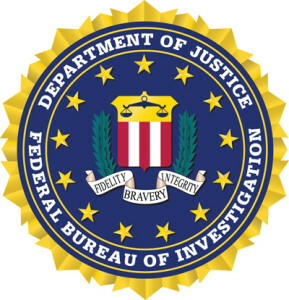 There are many accounting jobs available with the FBI, the United States Federal Bureau of Investigation. It is a large agency, and like all such, it needs both money to conduct its affairs and people to oversee the flow of that money. Simple searches on the FBI website reveal the accounting positions available to those who wish to work for perhaps the most prominent part of the US Department of Justice. One position for which the FBI advertises is that of forensic accountant. Since the forensic accountant is one who prepares accounting statements and information for use in the courts, and the FBI is at root a criminal justice organization, it makes sense that the agency will employ those so skilled. Forensic accountants with the FBI can expect to investigate potentially criminal flows of money, such as those coming from organized crime, embezzlement and fraud. They can also expect excellent salaries, ranging to nearly $140,000 annually plus substantial benefits packages. Basic requirements for the work include a baccalaureate degree in accounting or in a closely related field with a substantial accounting requirement; promotion as a forensic accountant takes additional education, service in the area or a combination of the two. It also requires eligibility for Top Secret clearance. Given the sensitive nature of the work the FBI often does, the requirement is reasonable, although it may disqualify some applicants. Another position routinely posted by the FBI as well as by other government agencies is that of auditor. Pay for the position is usually quite good, ranging to nearly $107,000 annually, with a comprehensive benefits package in addition. The job is much as the title conveys, with the auditor reviewing the flow of moneys into and through various parts of the agency, making sure that all money is accounted for appropriately and that it is used in accordance with statute and policy. Required is a baccalaureate in accounting or a closely related field that includes substantial study of accounting principles and practices. The major difference for work for the FBI as an auditor is that such work requires Top Secret clearance, again sensibly given the sensitive nature of the agency’s work. Aside from work as an auditor, the FBI needs people to oversee many of the day-to-day operations of its headquarters and field offices. Far less glamorous than the special agents who find and arrest the most heinous of wrongdoers, yet no less vital to the work of law enforcement are the payroll and other financial workers who ensure that the lights remain on in the field offices, that equipment through which the agency does its work is available and is kept in good repair, that the agents can afford to do the work they do without worrying that they will have enough food to eat or roofs over their heads. Specific requirements for the individual jobs will vary, as will compensation for them, but each is well suited to the skills and knowledge accountants develop as a matter of course. There are many available for those who wish to help ensure that law and order remain in force in the United States. Among them are more jobs available for accountants with the FBI than are listed here, but what does appear will offer some direction as to what to emphasize in order to get them.